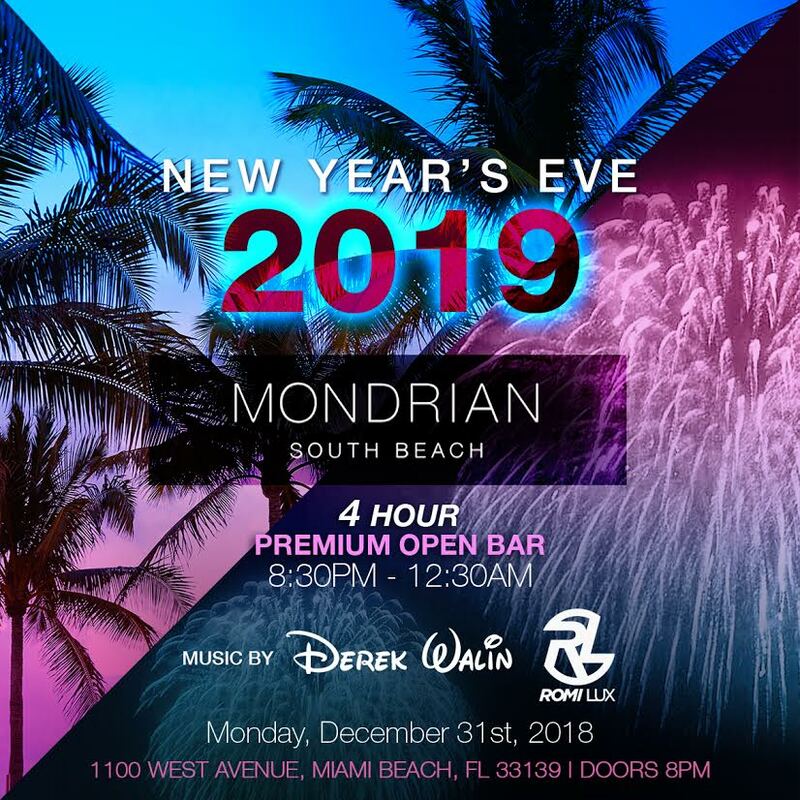 This New Year’s Eve, Mondrian South Beach is the incomparable Miami party destination for South Beach’s high-flying revelers. 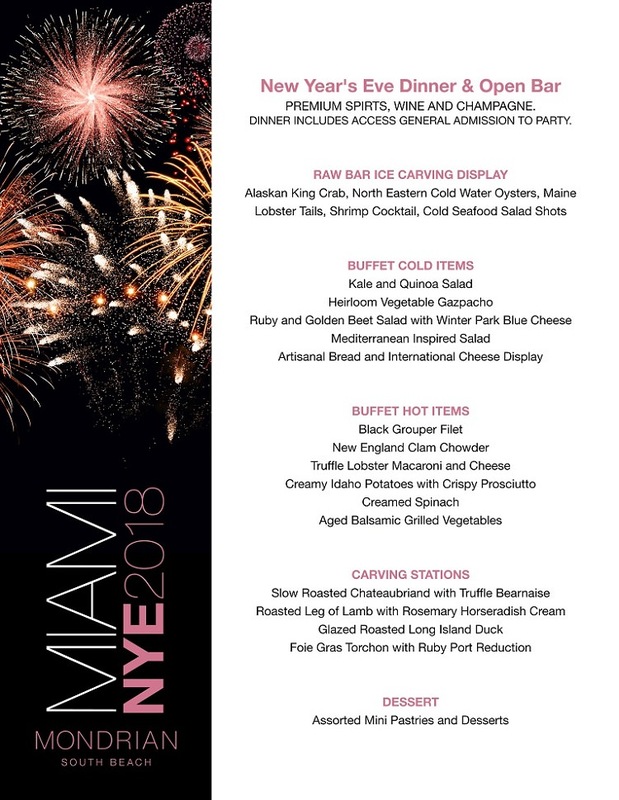 Miami’s renowned extravagance comes to fruition at this New Year’s Eve extravaganza, with seating options that range from ballroom and poolside to beachfront and balcony. Enjoy a four-hour premium open bar as you look out upon Miami’s stunning Biscayne Bay. At the Mondrian, Miami’s best will mix and mingle when they’re not dancing to the live DJ’s electrifying set of Top 40, hip hop, and house hits and mashups. Enjoy a breathtaking fireworks show on the bay as you ring in the New Year in style with an exhilarating live countdown and complimentary champagne toast. With a host of exclusive VIP options, the Mondrian is sure to be the hottest ticket in South Beach this NYE. VIP options include Water Club VIP tickets, which provide a view of Biscayne Bay and are closest to the beach, Poolside VIPs, Elite Balcony VIP access to a terrace that overlooks Mondrian’s pool and the bay, indoor Ballroom VIP tickets, Ballroom Patio VIP tickets, Skyline Cabanas – which offer plush seating in a luxurious cabana – and the all-out Baller Daybed for 15 with bottomless liquor and poured champagne. A dinner ticket option offer access to a decadent buffet with Maine lobster tails, a carving station, and more. Visionary Dutch designer Marcel Wanders has created a masterpiece in this contemporary beachfront hotel. His whimsical and innovative design for the hotel lounge is an homage to “Sleeping Beauty’s Castle,” and its fantastical, pristine aesthetic will make your New Year’s feel like a fairytale come true. In the soaring lobby, floor-to-ceiling windows frame the stunning waterfront view while the floating staircase dazzles the eye. 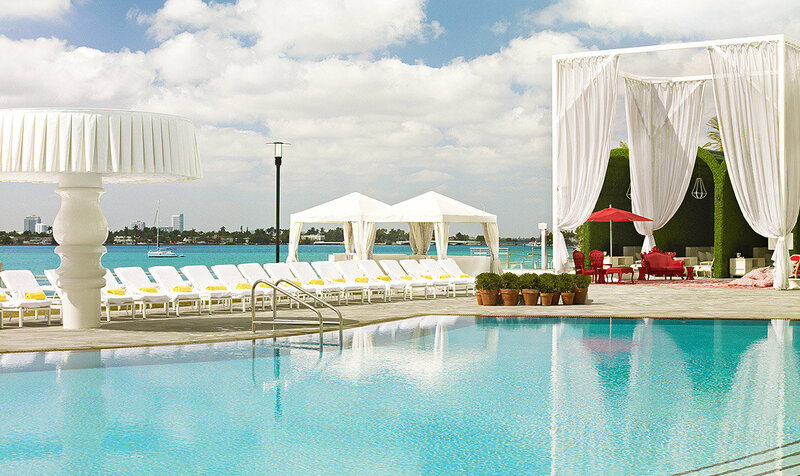 The enchantment of the Mondrian continues to its outdoor area with a shimmering pool and views of the beach and promenade. 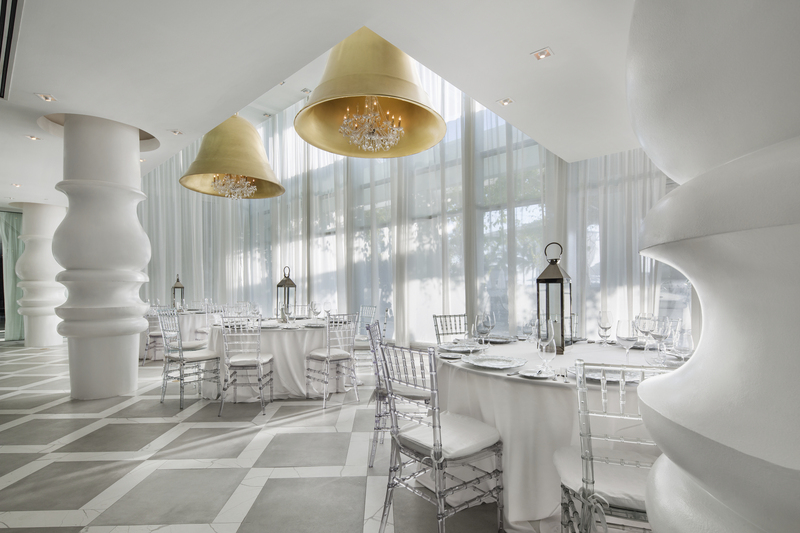 For an enchanting New Year’s - compliments of South Beach’s most magical location - let yourself be swept away by the Mondrian South Beach. This upscale hotel and nightlife hotspot offers breathtaking views of the Biscayne Bay and world class party luxuries that will rival your most daring NYE party fantasies. 1.) A LA CARTE: Pick a table size that accommodates your group. You can then purchase as many tickets as you want within that size, and you will get a Group ID number. Notify your friends of your Group ID number and they will use the ID to buy tickets at your table until your selected table size is complete. ** ticket prices will increase as the event gets closer There are three different A La Carte VIP Tables -	Seated VIP: reserved seating for your group, with no bottles. -	Ultra VIP: Table service with bottles. The number of bottles depends on your group size. -	Platinum VIP: This provides the same amenities as the Ultra VIP, but with more bottles. 2.) TABLE PACKAGE FOR TWO: A table package for two entitles you and one other person to a table with a bottle of champagne. 3.) TABLE MINIMUM: This allows your group to purchase bottles and/or drinks off the bottle menu up to the amount to which you have purchased. For example, those who purchase a $2000 table minimum ticket will have $2000 dollars worth of credit to spend at the table. Your admission tickets are also included for the area which you selected.